Massive cover. Just a great addition to the bag good looking too. Purchased a number of these headcovers for a golf Team Event. A fun item that brings plenty of smiles. Protects driver club head really well and nicely constructed. Excellent service from the staff at Golfonline. Good product been using it for a few weeks, still looks good. Good fun head cover which creates some conversation on the course. Quality is good, however, but this to create some fun in your golf bag! This club head cover is brilliant. Adds a bit of humour to the bag and fits on the driver perfectly. The sleeve also protects the shaft. This is a great driver head cover all round and would recommend it very highly. 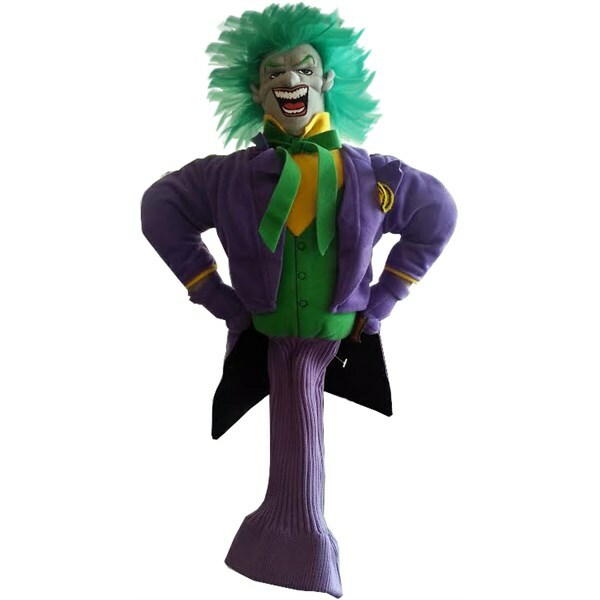 With this Warners Brothers Headcover you have the choice of becoming the villain or the Joker of your golf group. Whichever you choose you will be the talk of the golf club for your sense of humour rather than how good or bad your golf maybe! 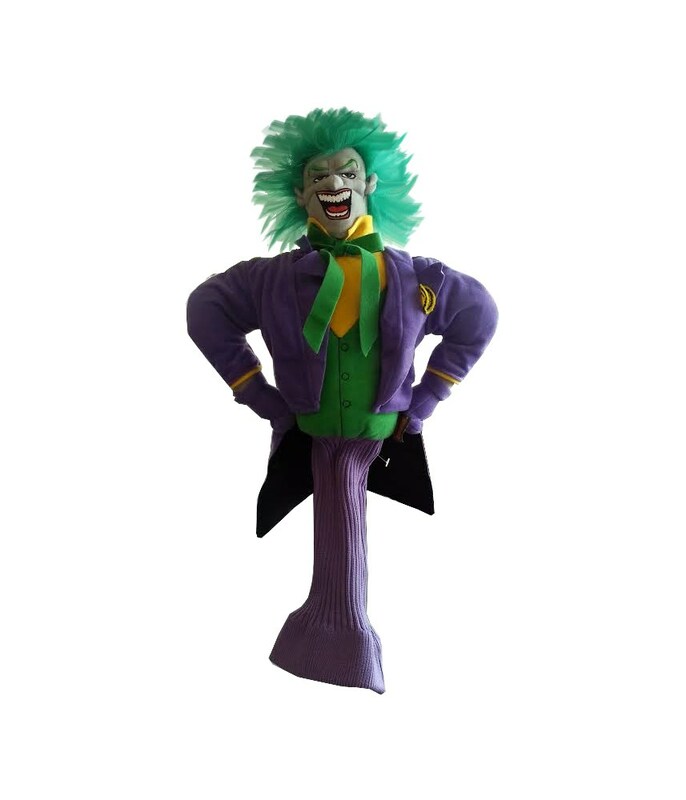 The Warner Brothers Villain Joker headcover will protect the club head from any nasty scratches while in the bag and also protect the club shaft as it comes with a knitted sock.